Spend part of your summer in a clinical rotation at local hospitals through the University of Cape Town in South Africa. Take a summer lab class to explore the microbiology of Thai food, international health issues and the changing environment while in Bangkok, Thailand. Learn about the global language of biology in a summer program visiting Vienna, Cambridge and Stockholm. Gain firsthand health-care experience through a clinical rotation in La Paz, Bolivia. Take a global health internship in public health in New Delhi and in primary care in the Himalayas. Ever wondered what it is like to be a neurobiology, physiology and behavior major at UC Davis? Well, me, too. I decided it was time to interview my NPB friends and find out why it is the most popular major within the College of Biological Sciences and fifth most popular on campus. In neurobiology, physiology and behavior, I learned that students investigate how organisms live, learn and interact in their environment. Every animal must grow, reproduce, move, respond to stimuli, and maintain consistent internal environment to survive and expand its species. Because of its focus on organisms and their interactions within their environments, this major educates all pre-health majors with the mindset to develop solutions to help humans and animals lead healthy lives. Throughout the course of this major, students gain an understanding of the vital functions that all animals have in common. They study these mechanisms at all levels of life, from cells to organ systems to whole organisms. The versatile NPB major opens students to a broad range of careers and opportunities. I learned that besides pre-health, neurobiology, physiology and biology is also an excellent major choice for any student who is interested in biomedical or biotechnology research or careers, science education or doing foundational biological research. If you love science and the idea of doing chemistry and biology labs, or if learning something interesting and new in each lecture appeals to you, then you will succeed in these NPB courses. Though the prerequisite courses can sound intimidating, they’re actually a great way to start learning the material you’ll need for your upper-division courses. I started my interview quest by talking to my friend, Matt Burke, an undergraduate in the major with plans to attend veterinary school. A freshman like me, Matt has spent his first year at UC Davis getting through prerequisite courses, which are the introductory courses that prepare you for your major. They are designed to test students’ ability to comprehend the material they’re learning. This major is a great way for pre-health and pre-med students to study the subjects they need for their careers. Matt has offered some advice on how to get through your prerequisite courses. 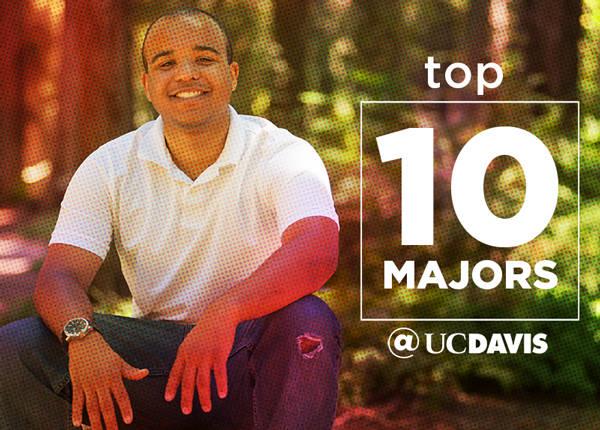 The campus offers many resources to support you in your major. Tutoring and advising can help you learn to study effectively and plan your time at UC Davis and — with this being a research university — you have the opportunity to work in labs and experience NPB firsthand. So now that you know what you can do outside of college with this major, you’re probably wondering about clubs and other ways to connect while in college. One option is to join the NPB Club on campus. This club builds relationships between students, professors, researchers and others in NPB-related careers. This club provides excellent networking opportunities and offers advice and volunteer opportunities to all of its members. If you are considering a medical career, you have the option to rush for a professional fraternity, like Phi Delta Epsilon, which is specifically for pre-med students. In an interview with another friend, Ally Wheeler, I learned how great it is to be involved with a group that gave her a community of like-minded people. “As for [Phi Delta Epsilon], I love having mentorship opportunities and tutoring resources from older members for all these NPB classes!" she told me. And if you don’t want to join a club or fraternity, but you love to travel, then you can study abroad. The UC Davis Study Abroad office offers many internships and programs for NPB students to study in countries all over the world. These opportunities range from working in a microbiology lab in Thailand to spending a quarter in a clinical rotation in local hospitals at the University of Cape Town in South Africa. A variety of careers await you with a neurobiology, physiology and behavior major. It can lead you down career paths such as a surgeon, veterinarian, physical therapist or to work in the private sector as a researcher. Eventually you could become the CEO of a biotech firm. You will become like other students who go through this program: hard-working, dedicated and knowing how to balance your work and social life. Lily Coates is a student intern with the College of Biological Sciences’ marketing and communication team. Her internship combines her love of biology with her love of writing.